Yesterday, my evening was spent at Senate House in London for my first experience of a Crick Symposium run by the new/future Francis Crick Institute. 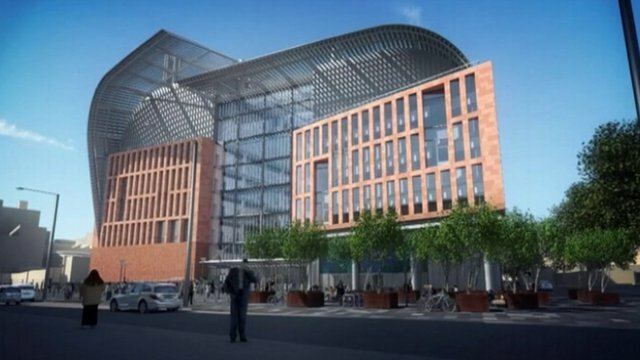 Just so you know, The Francis Crick Institute is the developing giant biomedical research institute being built just by King’s Cross Station in London and will house researchers from Imperial College, King’s College, University College, The NIMR and the LRI. It’s huge, it’s a big deal and if (fingers crossed) everything goes to plan timing wise I will be finishing up my PhD there! Now the symposium was about rare diseases, which weirdly enough are a big problem. 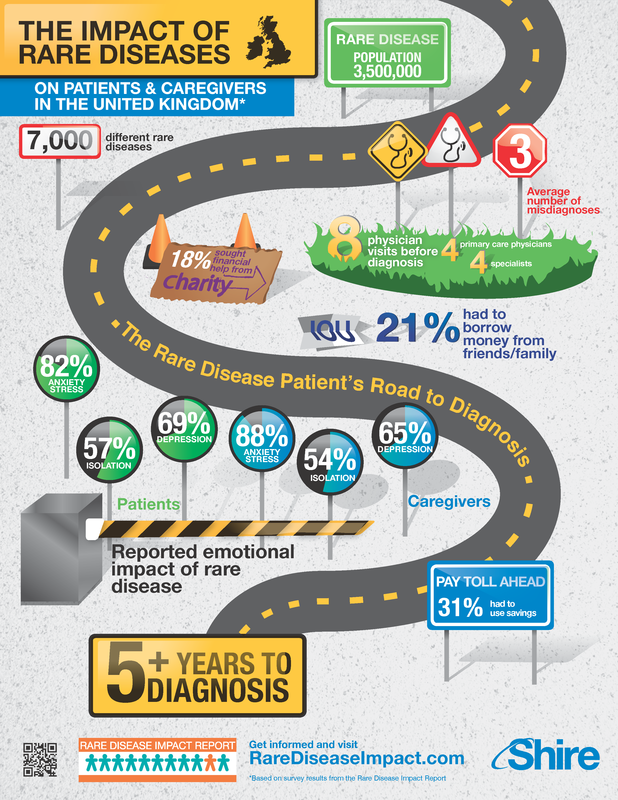 Each individual rare disease is defined in the EU as affecting less than 5 in 10000 of the general population however with over 6000 recognised rare diseases that equates to a lot of people living with them. Rare diseases are often severe, chronic, life threatening, life debilitating and have large impacts on the patient and their families. One of the best points of this symposium was the talk from Tess Harris (president of PKD international) on her personal experiences of living with rare diseases, more specifically PKD. PKD is polycystic kidney disease and although it is a rare disease, it is one of the leading causes of renal failure. It was a moving talk to say the least, and just the sort of addition to these meets that I applaud. It can be so easy as a researcher to forget the people that are affected by the things we look at when all we see are numbers, data and test tubes every day. This in fact was a point that can be extended to the way we research these rare diseases; there needs to be much better cross-talk between clinicians, scientist and patients in order to effectively describe, diagnose and research rare diseases. There was a strong push in the symposium for the sharing of data on patients, on genetics and some way of standardising this. Michael Simpson form KCL (who happens to sit on my thesis committee) is involved in exome sequencing and stated the importance of collaborative efforts having the same quality of data in terms of coverage of DNA sequencing and making sure there were no gaps in the sequence. There’s a group that Matt Hurles spoke about called DDD – deciphering developmental disorders – that look at the DNA sequences of children with undiagnosed developmental disorders in order to try and find a cause. Even with a diagnosis, they may not be able to help the child but it’s a surprise how much a definite reason can bring relief and mental clarity to a person with a rare disease and their family. I’d say that’s one of the things I’m hoping to do with my project. Veronica van Heyningen sp oke about the genes and mechanisms in developmental eye disorders and through gene identification they are able to link up protein interaction networks in terms of how the phenotypes relate to the genotypes. One interesting find was that in a mild case of a developmental eye disorder, the culprit was a single base change in a ultra-conserved region of the genome outside of any coding sequence near the gene Pax6. This mutation was enough to remove the lens expression pattern that this enhancer element was driving – something that my lab is very much advocating as a possible explanation for many developmental disorders with varying penetrance and unknown causes. The final talks about therapeutics somewhat went out of my comfort zone however the idea of personalised, stratified and precision medication was a nice thought to me. Taking the person’s genome and understanding how small seemingly not important mutations allow that person to better respond to therapy is a great demonstration of how sequencing has translational effects. The symposium was one of the best group talks I’ve been to so far and I think collaborative efforts of researchers in the same field can only be a positive thing. One comment that stands out for me was a mention of the recent push for medical records to be made available for researchers in the UK, a policy that has now been held up due concerns of practitioners for their patient’s privacy and the general public for the same reason. On one hand yes, I do understand the concern that comes with public data and open access but I do strongly believe that this would benefit everyone and especially those with rare diseases. Imagine a Dr in the North East of England sees a child with a disorder that presents symptoms they’ve never seen before. There’s no information on these symptoms anywhere and the Dr turns to geneticists to try and find the cause. Now it just so happens that a child in the South of England has been seen by a Dr and is presenting the same symptoms with the same problem – no one has seen this before and no one knows the cause. This Dr refers that child to specialist clinicians at their local hospital. It is at this point that these days the path to diagnosis would be long and complicated for both children. However by sharing the medical records, both the researchers in the North and the clinicians in the South would know about each other and each other’s patient in very little time. Suddenly both children are having their genomes sequenced by the researchers and clinicians who are talking to each other and recognising this previously unknown disorder together are treating both children. The path to diagnosis speeds up, the possibility of treatment of the disorder and/or the symptoms is fast tracked and if the parents of both the children would like to contact a family facing the same problems that is an eventual option. The proposed plan is an opt out system and people seem to be most concerned about this aspect as apparently not enough information is being shared about that process or when the scheme would be implemented. A fair point, but all that takes is a public service announcement and some leaflets. Anyone with a real issue about being involved should think carefully about why and if they still have a problem with it, just opt out! Simples. You’re completely right to have that as an initial concern but realistically identification from a patient’s medical records shouldn’t be possible. However a lot of cases of individuals with rare diseases and disorders are a lot more willing than those with common cases to come forward and identify themselves as they know it may help their cause. With next to no funding in research for these rarer cases, patients can seem a lot more willing to help in any way they can. Superb Page. Thanks for writing this, it is notably well written. I will keep coming back for more threads from you.